Featuring midnight maple fingerboard and vintage artisan inspired inlays. 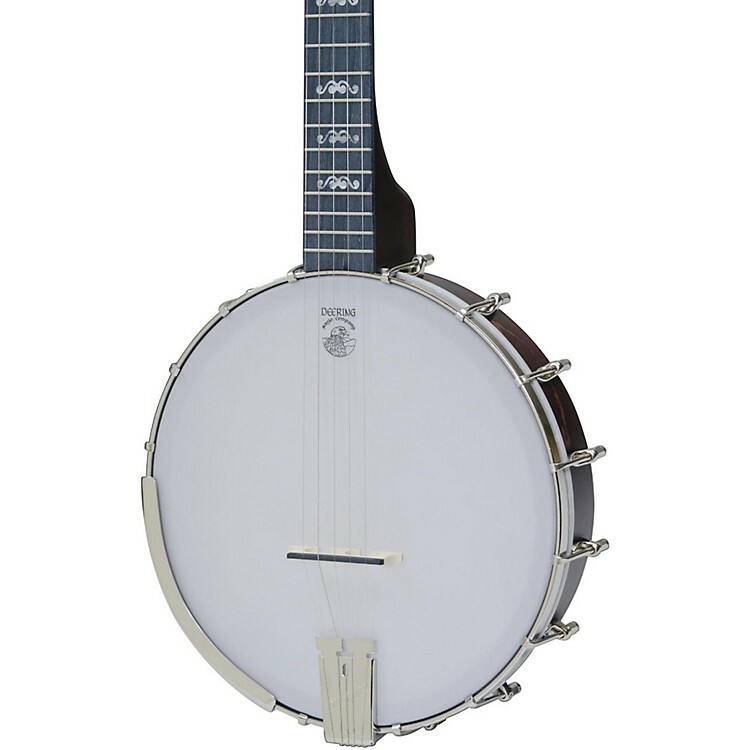 The familiar rich dark brown stain, planetary tuning pegs and the addition of spikes at 7,9, 10 for alternate tunings allows this lightweight maple banjo to exceed the features customers wanted and needed. The violin-grade maple rim is made of the same wood used on the professional level Deering models and gives the Goodtime banjo a rich, full, round note distinction. Deering Banjo Company was founded in 1975 as the world’s specialist in banjos and has grown to become the largest manufacturer of American made banjos in the world. Grab a banjo that's easy to play and easy to take with you. Order today.